You can insert all kinds of things. 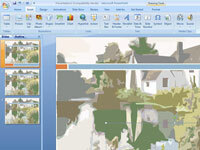 The Symbol dialog box opens. To enter a foreign character, select it and click the Insert button. 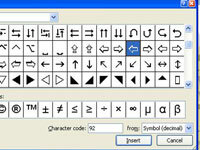 To insert a symbol, not a foreign character, choose Webdings or Wingdings 1, 2, or 3 on the Font drop-down list. 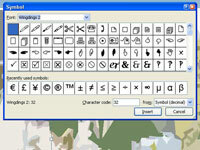 Webdings and the Wingdings fonts offer all kinds of weird and whacky symbols. 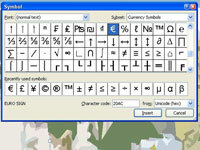 Select a foreign character or symbol. You may have to scroll to find the one you want. 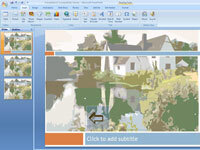 Click the Insert button to enter the symbol and click Close to close the dialog box. The symbol appears on the slide.